Quarry Lodge in Munsley, near Ledbury, Herefordshire sleeps 7 people. Quarry Lodge in Munsley overlooks lovely rolling countryside, just 3 miles from the market town of Ledbury. 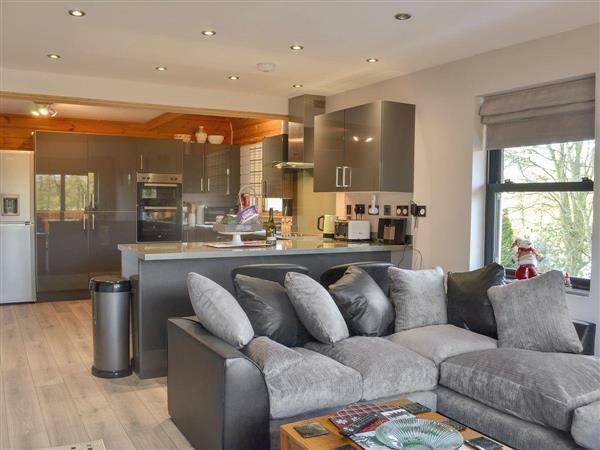 This attractive Scandinavian style lodge, with a comfortable open plan living space, boasts landscaped gardens, an entrance hall and a private hot tub. Set in the open countryside, it lies within easy reach of Hereford, 11 miles, the Malvern Hills, Forest of Dean, Worcester and Gloucester. A family run farm park, several National Trust properties and the three Counties Showground are also easily accessible, as are golf and fishing. The shop, pub and restaurant are 1 mile from Quarry Lodge near Ledbury. Bedroom 2: With king-size bed, Freeview TV, doors leading to Juliet balcony and en-suite with shower cubicle and toilet. LPG central heating, electricity, bed linen, towels and Wi-Fi included. Travel cot, highchair and stairgate. Garden with terrace, garden furniture and barbecue. Hot tub for 7 (private). Private parking for 6 cars. No smoking. Please note: There is a fenced pond in the grounds. Holidays at Quarry Lodge run from Friday to Friday. Pets allowed at Quarry Lodge. For a better idea of where Quarry Lodge is, you can see Quarry Lodge on the map below. Quarry Lodge is in Herefordshire; should you be on the lookout for a special offer, you can find all the special offers in Herefordshire. It's always worth checking to see what is on offer at the moment. 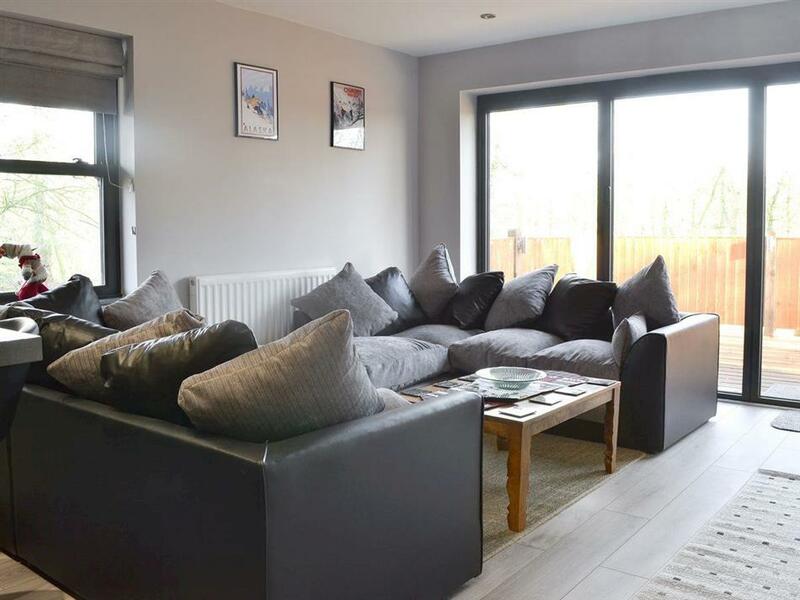 Do you want to holiday near Quarry Lodge (UKC2848), you can see other cottages within 25 miles of Quarry Lodge; have a look to find your perfect holiday location.